The death penalty is a tricky one, isn’t it? We all know how the argument runs: can it ever be just for the state to condemn killing, by killing? Or, if in favour: This or that nasty person offers nothing to society, plus it acts as a deterrent to future criminals. But we’ve been offered a third way by our comrades up in Manchester: killing, more specifically hanging, is ok if you don’t like certain groups. 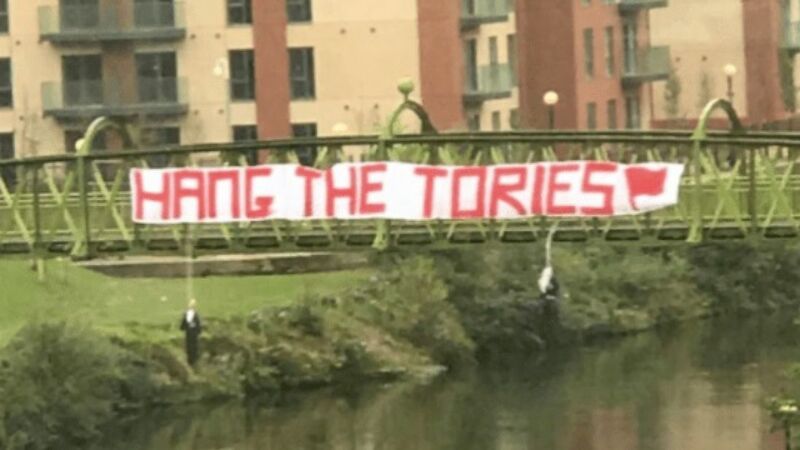 A huge banner imploring us to hang Tories was unveiled in Manchester in time for the Conservative conference, accompanied by two hanging dummies, just to show us they were serious. Politics is about division. Arguments are not only a good thing, they’re essential to democracy. Threatening to kill people however, is probably a bit far. During the election I was speaking with three or four Momentum members. One of them, probably no older than 20, told me the scum (Conservatives), should be eradicated. My embarrassed laughter was met with a look of consternation. I was told it was more than politics, it was ideological; the Tories were hell-bent on killing foxes and plebs alike, all sympathisers were essentially Nazis. 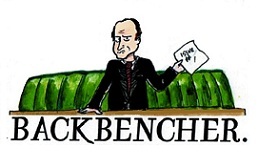 A few weeks back a group of idiotic Conservatives joked about gassing chavs – more silly than deplorable, it was portrayed as unmasking what conservatives are really like. Do we then extend this logic to Labour members? While many, most, would rightfully shudder at the association, when we see journalists hiring bodyguards, mobs being held back from politicians by police, and slogans calling for aborting prominent politicians, we have to take this threat seriously. The left has become galvanised under comrade Corbyn who, I have no doubt, is against all hanging. If comrade Corbyn truly is for a gentler kind of politics, it may be prudent to condemn these acts. Or, it may be better if the left stops threatening to kill people it dislikes, if this is impossible, I hear North Korea is nice to visit at this time of year.